Forklift Truck refers to all kinds of wheeled handling vehicles that carry out loading, unloading, stacking and short-distance transportation, and heavy object handling operations. The hydraulic system will generate hydraulic source energy conversion loss and hydraulic system energy transmission during the working process. Loss, power matching energy loss, etc., the hydraulic system's working efficiency is generally only about 50%, so the research on the energy-saving control technology of the forklift hydraulic system is of special significance. When the forklift is working, it is working while driving, and the load changes frequently and the range of variation is large. There are three energy conversions in the hydraulic system, including the hydraulic pump generating high-pressure oil, which converts mechanical energy into pressure energy; the actuator and hydraulic components convert the pressure energy of the oil into mechanical energy and heat. The entire energy conversion and transmission process is accompanied by energy loss, and the mismatch between the engine, pump, valve, and load also causes a large energy loss. The working environment of the forklift is different from the working object, and the power demand of the engine is also different. The adjustment characteristics of the engine and the characteristic curve of the engine. When the engine and the hydraulic pump work together, it can be seen from the engine speed regulation characteristics and the universal characteristics that each speed lever position of the engine corresponds to the optimal energy-saving working point and the maximum power point, and as the engine and the hydraulic pump and the most The good match adjusts the absorbed power of the hydraulic pump. Due to the variability of the forklift workload, the absorbed power of the hydraulic pump changes, causing the engine speed to deviate from the optimal node. When the hydraulic system of the forklift is working, there is a gap between the relative moving parts in the hydraulic pump body, and the sealing between the joint surfaces is not strict, which causes the hydraulic pump to leak and cause system power loss; the oil has a certain viscosity and flows through the inner surface of the pump body. It will be energy loss caused by flow resistance; the air pocket under negative pressure and the volume compression under high pressure will produce energy loss; in the oil absorption process, the oil absorption resistance is too large, the viscosity of the oil is large, and the hydraulic pump speed is too high. The reason is that the oil cannot be completely filled with the sealed working chamber and the like, and the volume loss is caused, so that the efficiency of the pump is lowered. The pipeline of the forklift hydraulic system is usually made up of several sections of pipes in series, each of which is connected in series with some means such as elbows, control valves, filters, pipe joints, etc., when the hydraulic oil flows through the pipes, elbows, When the control valve and the pipe joint are in the same time, the pressure loss and the partial pressure loss occur; when the actuator such as the hydraulic cylinder is working, the design and the machining process are unreasonable, and the friction pair contact area generates the friction loss. These pressure and friction losses cause the liquid resistance and heat generation when the oil flows, causing the hydraulic system oil temperature to be too high. According to relevant statistics, when the oil temperature of the forklift hydraulic system exceeds 85 degrees Celsius, the aluminum shell with large expansion coefficient produces a secondary sweeping phenomenon, the hydraulic valve is easy to be stuck, the rising speed of the lifting cylinder is significantly reduced, the seal and the high pressure hose Easy to age, the holes and gaps of the components are prone to blockage. Shantui can produce all series of forklift (diesel forklift, electric forklift, gasoline forklift, container forklift). 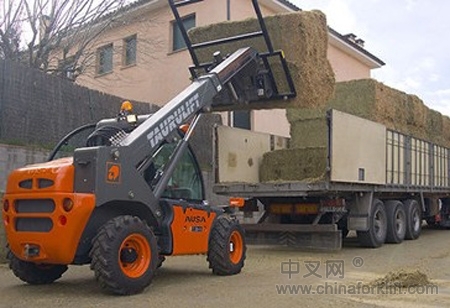 The quality of Heavy Duty Forklift is of China top level. 12 ton forklift, 13.5 ton forklift, 16 ton forklift, 18 ton forklift, 20 tons forklift and 25 tons forklift are welcomed all over the world. Shantui is world top 50 construction machinery manufacturer. Products have been sold to over 140 countries and regions. 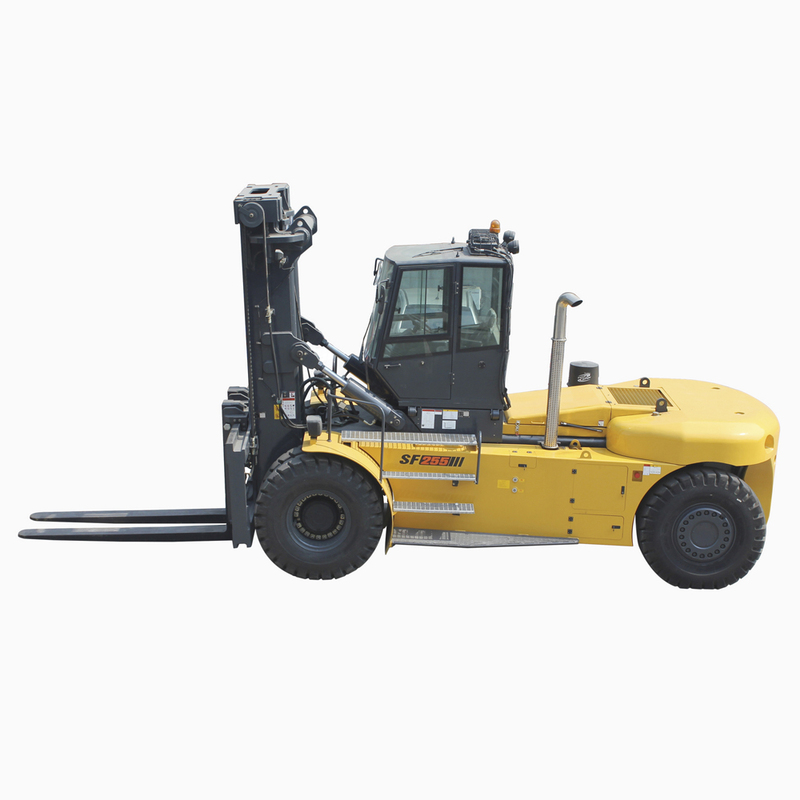 The heavy duty forklift has been widely used in ports, wharves, logistic parks, mining areas and etc.